What is a property insurance claim? A property insurance claim is a claim that a policyholder initiates on a piece of property that he or she owns when an accident happens and something terrible occurs on or to that property. Take a fire for example. If lightning strikes and sets you home on fire, then that would be cause for a property owner to file an insurance claim. 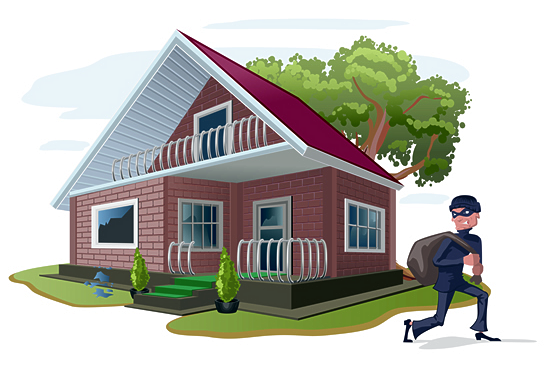 If someone breaks into you home and robs you while you are on vacation, and your doors and windows were locked, that would also be reason to file a claim. Where we come in, is to assist the insurance company in the process of verifying and investigating the validity of such a claim. Some people leave their doors and windows unlocked, and that can be a reason to deny a claim. Or some people inadvertently break or lose their own belongings and make it appear that they have been stolen, to gain money from a claim. Unfortunately we do not live in a world where everyone is honest all the time, and insurance companies need to hire companies like Churchill Claims to ensure that they do not get defrauded.